Do you have a persistent ringing in your ear? Tinnitus affects about 50 million Americans and can cause buzzing, clicking, whistling and other perceived sounds. At Adult & Pediatric Ear, Nose & Throat in Kalamazoo, Michigan, a team of expert otolaryngologists helps children and adults who suffer from tinnitus and other ear, nose, and throat problems. Book an appointment today to get a personalized consultation and treatment plan. Tinnitus is a condition that causes ringing in the ears. It can also cause a sensation of a full or stuffy head, and many patients also experience other perceived sounds, like hissing or whizzing. Tinnitus symptoms can be soft or loud, and they may come and go. Some people experience worsening symptoms at night. Subjective Tinnitus: With subjective tinnitus, patients experience symptoms that are only audible to them. This kind of tinnitus often correlates with hearing loss. Objective Tinnitus: With objective tinnitus, sounds are audible to the patient as well as other people. Circulatory and somatic responses within the body usually cause it. This type of tinnitus is rare and represents less than 1% of all tinnitus cases. Aging: With the natural progression of age, hearing loss is common. Tinnitus sometimes accompanies this. Exposure to loud noises: If you regularly hear loud noises in your home or working environment, you’re more likely to develop tinnitus. Lifestyle habits: Drinking alcohol, smoking, or consuming caffeine is also linked to tinnitus. Tinnitus can also develop if you have allergies, diabetes, high blood pressure, cardiovascular disease, or earwax buildup. Treating tinnitus involves addressing the underlying condition that may be causing it. Your physician at Adult & Pediatric Ear, Nose and Throat can suggest several different treatment methods, which may include earwax removal, hearing aids, or the use of a white noise machine to mask the sounds at night. Changing the dosage or type of medications you’re taking might also help to alleviate symptoms. 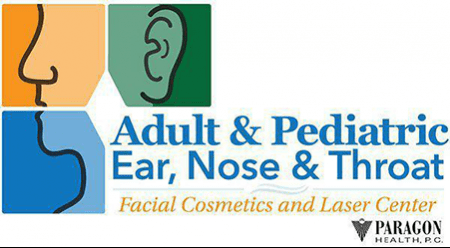 The experts at Adult & Pediatric Ear, Nose and Throat work with each patient on an individual basis to achieve the best outcomes in the shortest amount of time. If you’d like to find relief from tinnitus today, book an appointment online using the easy scheduling system.